October 5th 1979: Keel struck. June 1980: Delivered to Engström & Larson, Lysekil, Sweden. June 1980: Chartered out for services in the Caribbean. June 1982: Lengthened at Finnboda Varv, Nacka (parly rebuilt at Oskarshamns). 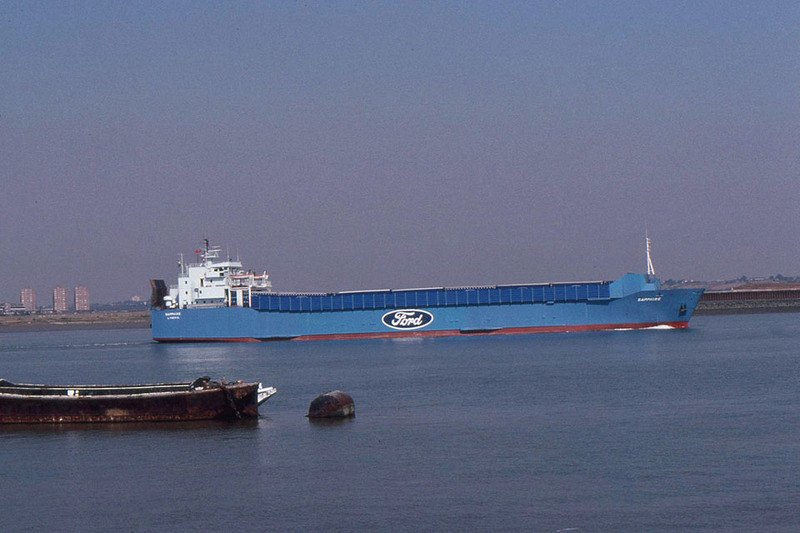 January 1984: Chartered to Seaboard Shipping and renamed ROVINGA. 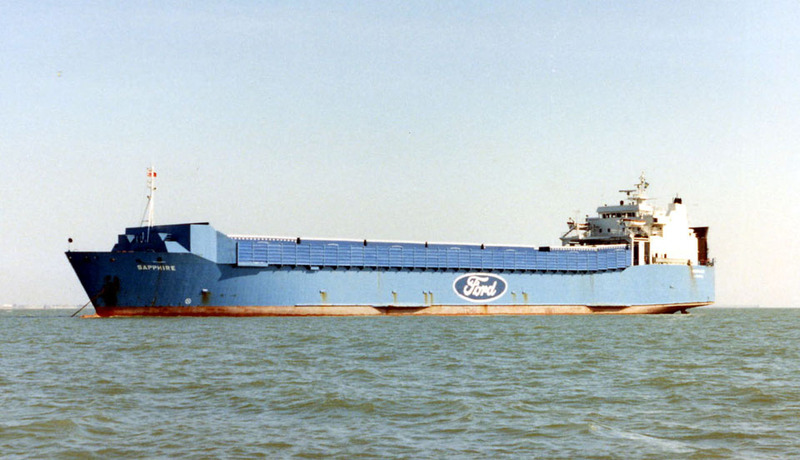 1987: Sold to Dag Engström Rederi A/B, Lysekil and renamed SAPPHIRE. 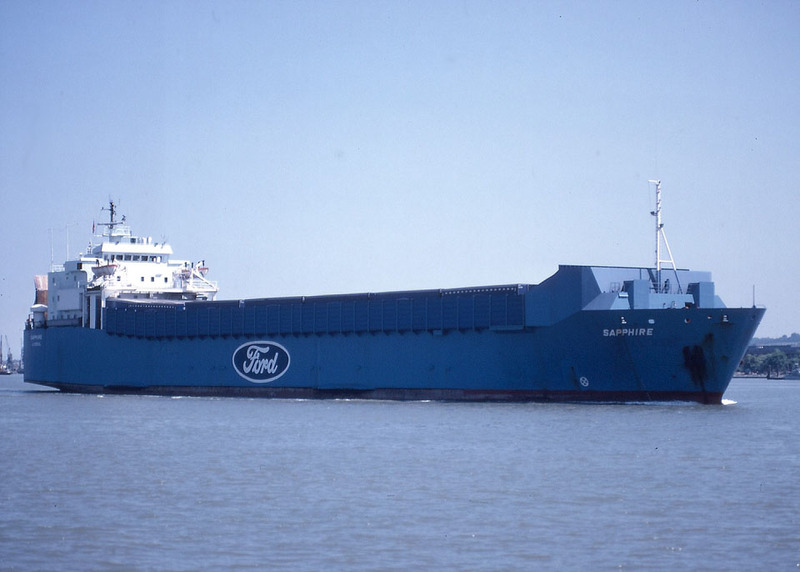 1987: Chartered to Cobelfret/Ford for services between Zeebrügge – Dagenham/Purfleet. 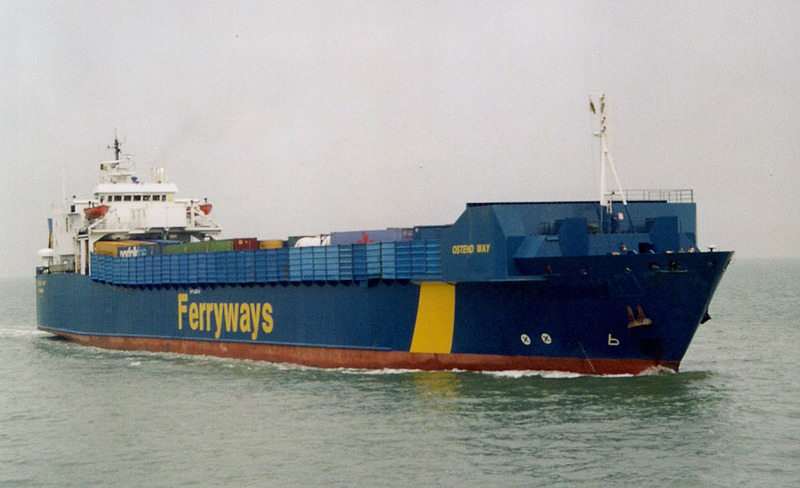 October 1999 – June 10th 2002: Chartered to P&O North Sea Ferries Ltd for services between Zeebrügge – Felixstowe. 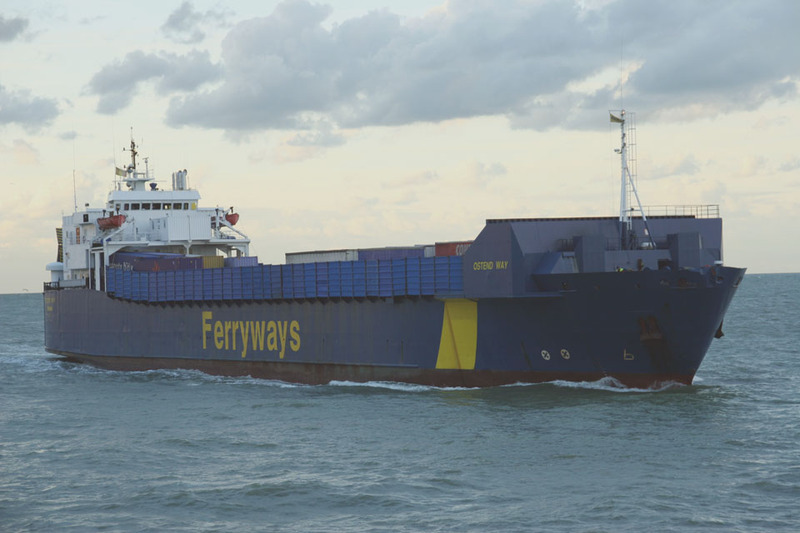 July 2002: Chartered to Ferryways B.V. Oostende, Belgium and operated between Ostend – Ipswich. 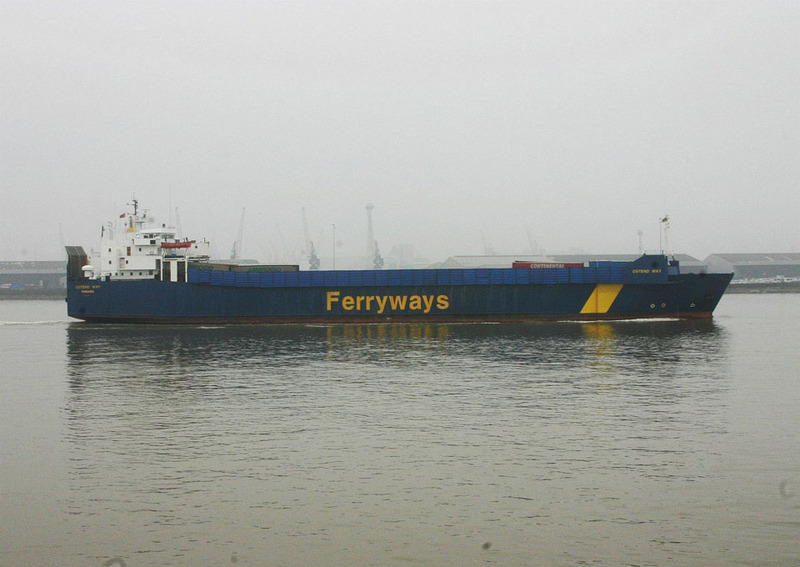 February 21st 2003: Collided with the ANGLIAN WAY on the River Orwell on approach to Ipswich. 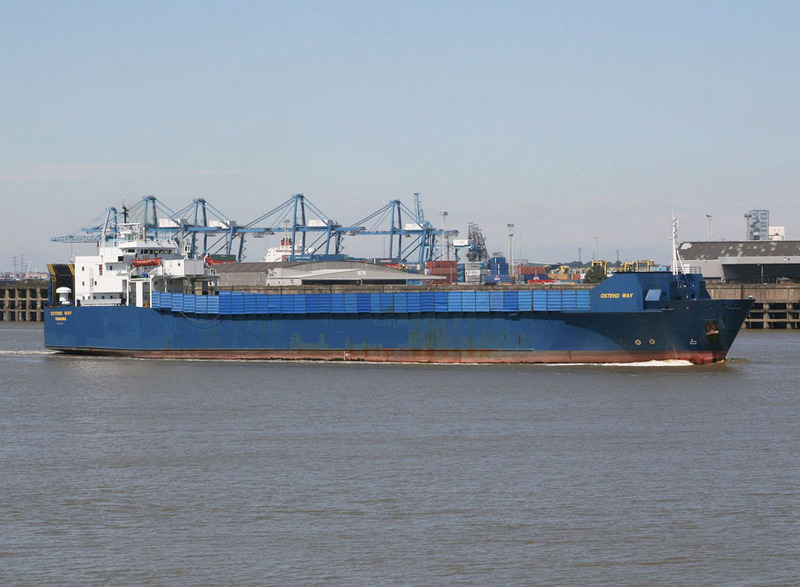 At a quarter to eleven yesterday evening Thames Coastguard were informed of a collision between two Ro-Ro cargo vessels in the entrance to the River Orwell. 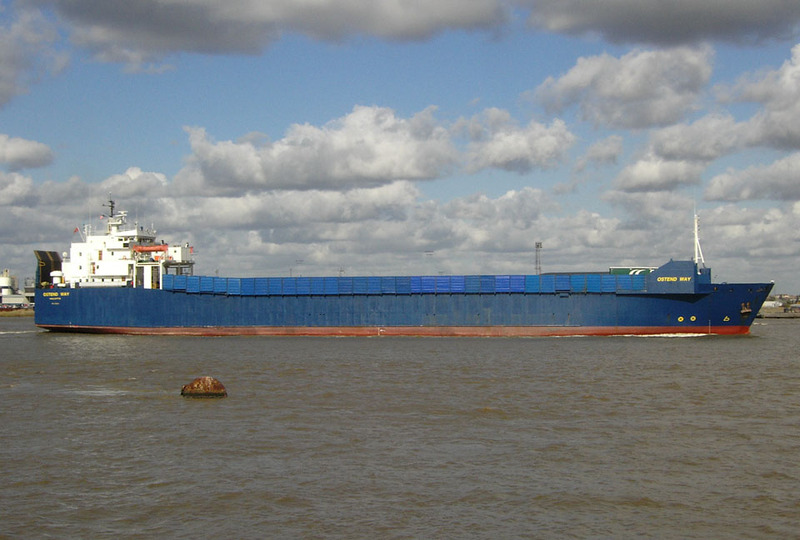 Both vessels were on passage between Ipswich and Ostend, with one inbound to Ipswich and one outbound. The inbound vessel the “SAPPHIRE” went aground at the entrance to the River in the vicinity of No1 Buoy, Trimley Marshes, after the collision. 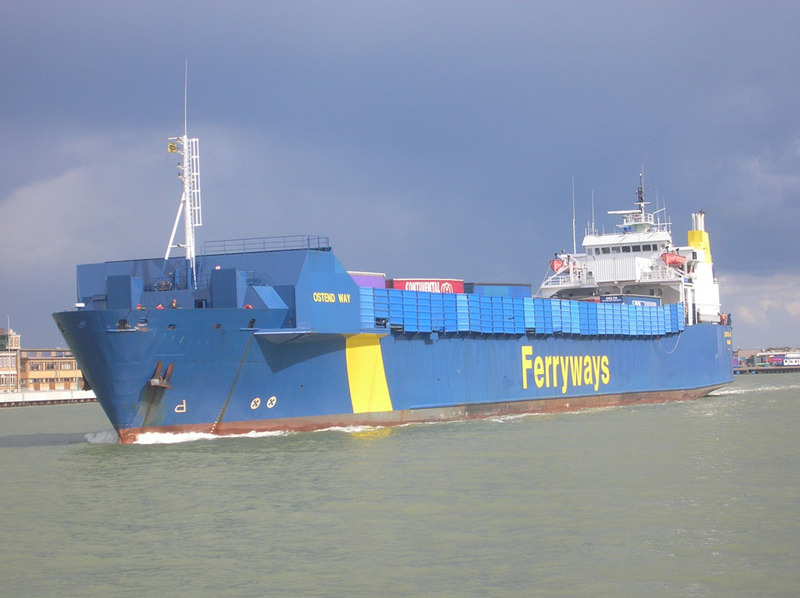 The outbound vessel the “ANGLIAN WAY” continued on her passage to Ostend. 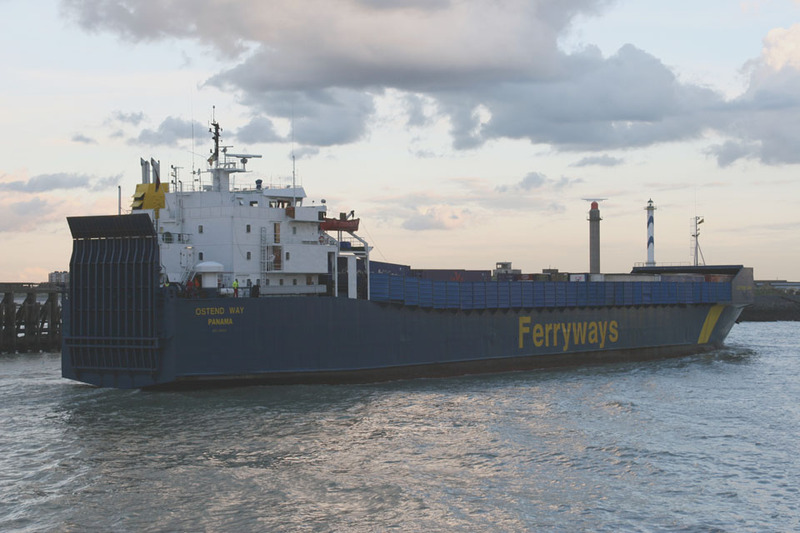 The Harwich Harbour Authorities were on scene very quickly with their Tug “MELTON” and their counter pollution vessel “HARWICH HAWK” and were able to establish quickly that there were no injuries to either crew and no pollution. 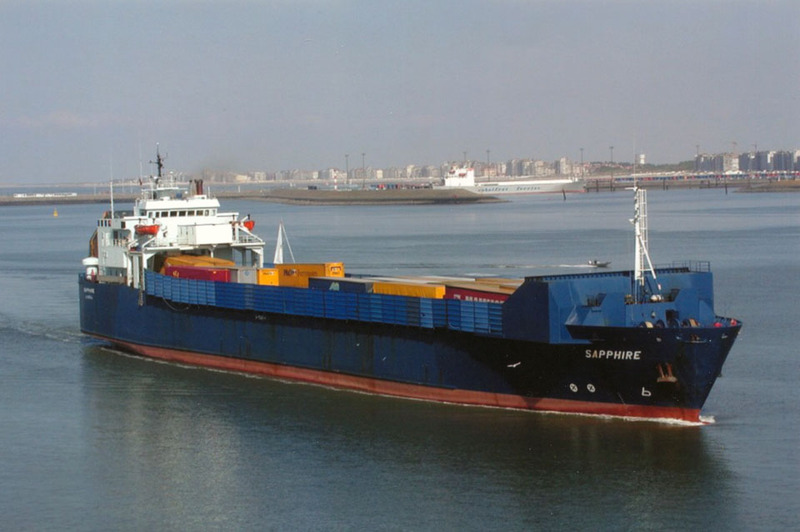 The “SAPPHIRE” was refloated on the rising tide and after discharging her cargo in Ipswich, sailed to Ostend just before 6.00 am. 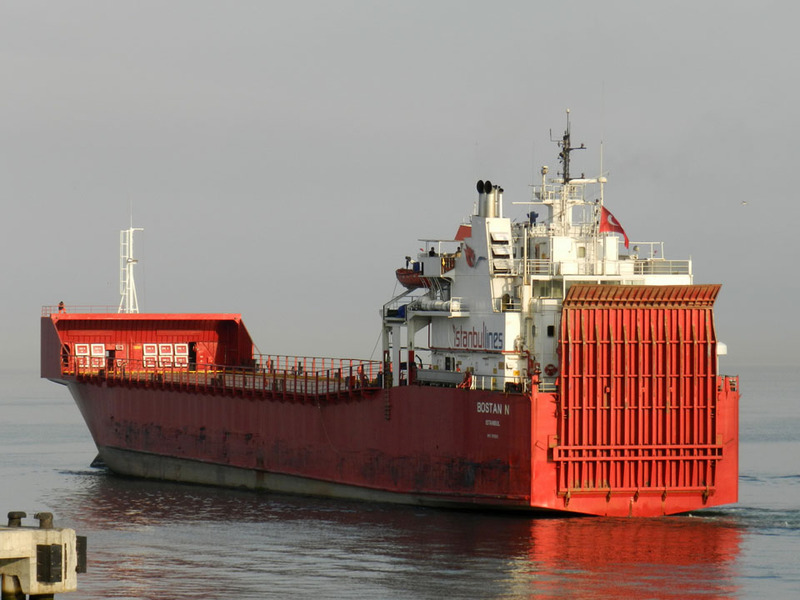 The “SAPPHIRE” is 6,568 gross registered tonnes and is registered in Sweden. The “ANGLIAN WAY” is 7,628 gross registered tonnes and is registered in Panama. 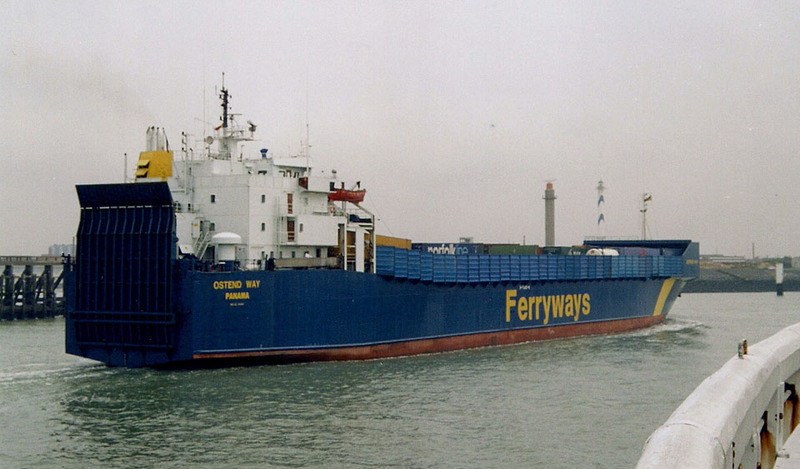 June 2003: Sold to Ostend Way Ltd, Panama (Ferryways) and renamed OSTEND WAY. Commenced service between Ostend – Ipswich. 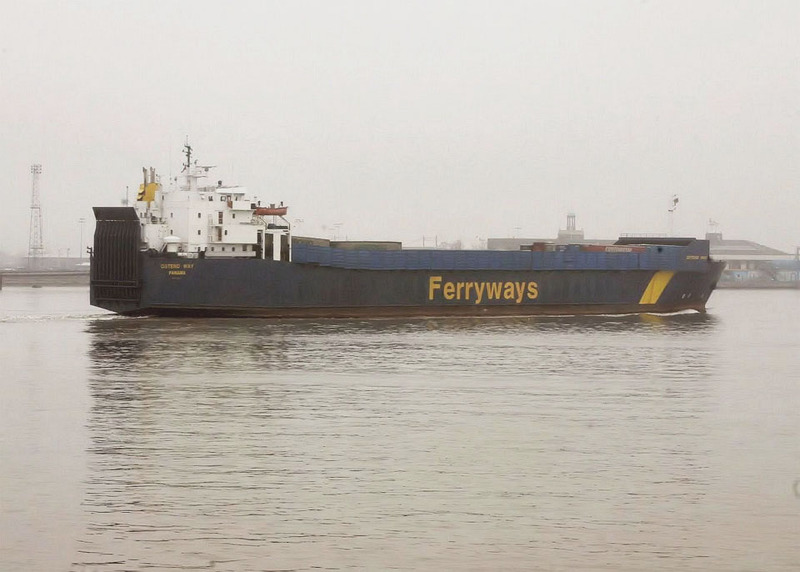 June 13th 2007: Ferryways went bankrupt and she was taken out of service in Ostend. June 16th 2007: Laid up in Ostend. July 2007: Management Roroco NV. 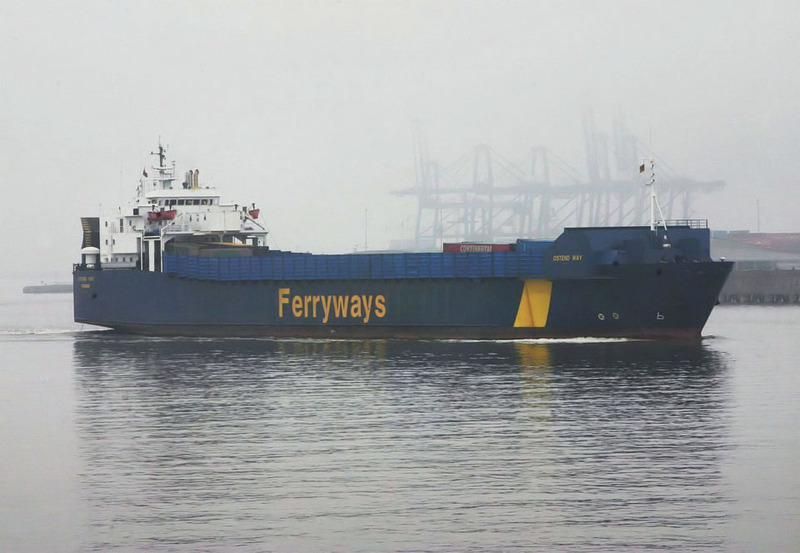 July 9th 2007: Commenced services for Cobelfret Ferries between Ostend – Dartford. January 2nd 2008: Registered to Roroco NV, Valletta, Malta. 2008: Services between Zeebrügge – Purfleet. June 1st 2008: Commenced services between Ostend – Ipswich. June 2008: Services between Ostend – Dartford. November 2008: Laid up in Tilbury. January 2009: Services between Rotterdam – Ipswich. January 2009: Services between Ostend – Dartford. February 22nd 2009: Laid up in Tilbury. March 2009: Services between Rotterdam – Ipswich. 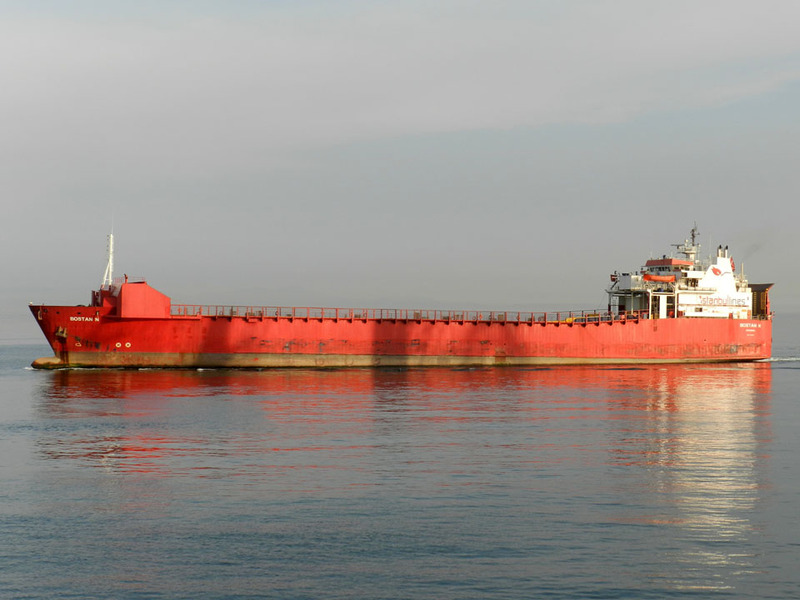 April 2009: Sold to Bostan Denizcilik Ltd Sti, Istanbul, Turkey (Istanbul Lines) and renamed BOSTAN N.
April 27th 2009 – May 17th 2009: Left Tilbury for Istanbul. 2009: Services between Bandrima – Ambarli. All information is believed to be correct and no responsibility is accepted for any errors or omissions. All items included in this article are subject to © copyright. We would like to take this opportunity of thanking: Evgeniy, Pieter Inpyn, Leo Johannes, John Jones, Ken Larwood, Bram Provost, Simonwp, Ken Smith and Andreas Wörteler for their assistance in producing this feature.